Looking to integrate your website with PayPal or Payflow? Trust us to help. We’ve assisted many e-commerce merchants who use Miva Merchant or Magento accept PayPal and/or the Payflow payment gateway on their sites. We’ve also done code-level integrations for custom applications. 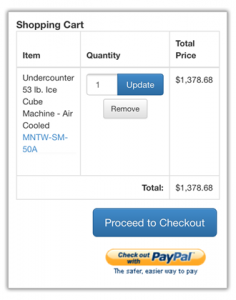 Adding PayPal as an additional payment option to your checkout page gives your customers a faster way to pay. If you’re using Miva Merchant, Magento, or various other shopping carts, integration is usually very simple. But we can also provide custom integration services to both PayPal and Payflow, should you need it. Ready to add PayPal or Payflow to your site? Contact us to learn how we can help you accept payments with various PayPal services. PayPal is a service that people use to send and receive money without having to share their credit card details. Originally a payment service designed for Ebay, PayPal is now in use on many e-commerce sites as a standalone payment method. Customers choose to “pay with PayPal”, and the integration between the merchant’s website and the PayPal service is responsible for obtaining the money authorized for payment and providing it to the merchant. PayPal is a standard that is trusted by customers worldwide. Many customers prefer to pay with PayPal, making it an essential integration for e-commerce websites. Payflow Pro is a payment gateway, which is an application that allows a website to collect credit card details, authorize a transaction, and ultimately transfer money from the customer’s credit card account to the merchant’s bank account. Payflow was originally a product of Verisign Payment Services, and in 2005 PayPal acquired Verisign. It’s rare to still hear the name “Verisign”, but in case you do, this is why. Integrating Payflow Pro on your website allows customers to choose to pay by entering their credit card details directly on your website. The integration with the Payflow gateway handles all of the monetary transfer.